I'd love to save you time and help you to stop looking for school year neccessities. 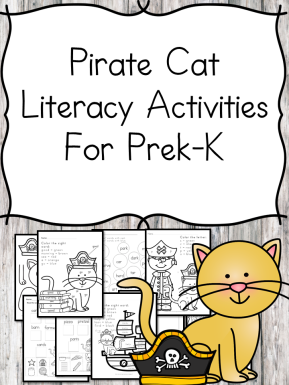 AND SAVE TIME looking for Sight Word Worksheets, Beginning Sound Activities, writing prompts, games and more! 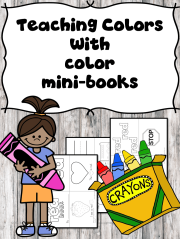 Treat your little student to educational fun! 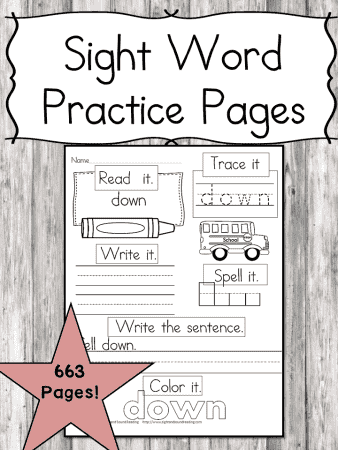 630 pages of sight words! This Back to School has an apple and school bus themed worksheet for each sight word. This packet includes all Dolch sight words for each level -3 pictures for each including the nouns. There are over 630 pages in all! Look at all the bonuses included!!! 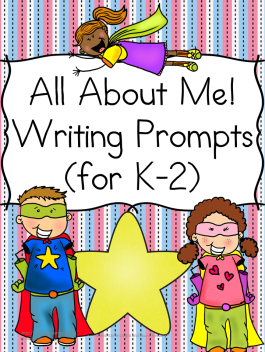 BONUS #1 Learn more about your students and help them with their writing skills using these fun All About Me Writing Prompts. 20+ Writing Prompts and 70+ pages, you will learn a lot about your students if they wrote all of these prompts! ---One that has 2 of the same writing prompts on the page so that you can cut it in half/ optimize on paper. --One that just has a drawing -for students that are younger or at a different level and need to just draw. 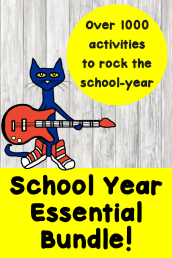 Included in the complete lesson plans…. 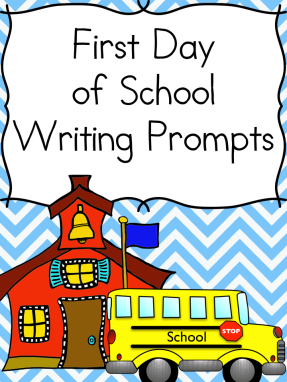 Bonus #3 15 different Back to School writing prompts to get your students back into writing and learning this school year. Bonus #4 - Get ready for Bingo fun! Great for RTI! 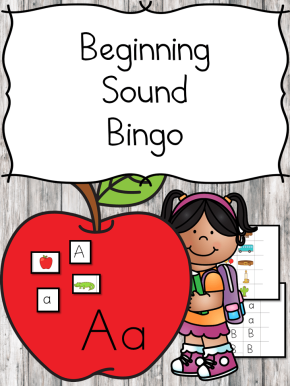 Print and laminate the cards you want/need.- Print/Laminate all the beginning sound tokens. This game is like Bingo! 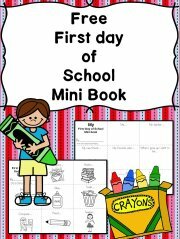 Each student gets a beginning letter. Choose a picture card randomly and call it out… If the letter begins with ‘b’ the student with the letter ‘b’ can place a token on their card! To make more challenging, you can cut do the vowel sounds… for the word families.. Use the A, E I, O, U apple and the use the pictures with the word family endings. On each card, the student should find 5 pictures to win. Bonus #5 - Cut and Paste fun! These cut and paste "place-mats" are so much fun! Students can cut and paste the pictures and letters that that match the place-mat. 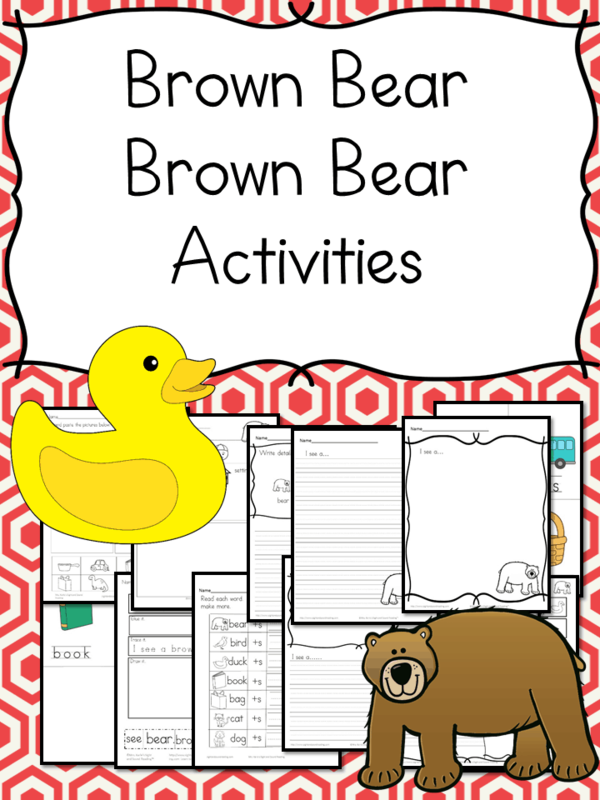 You can also laminate the cards and students can do these cards at centers or quiet time! 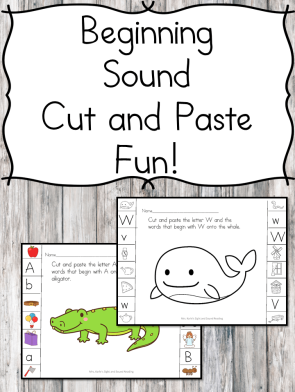 So, if the picture card is an alligator, the student needs to cut and paste/place all the letter A, (capital and lower case) and all the images that start with letter A. Bonus #6 - No prep Pirate fun! Pirate Color by ar words. Bonus #7 - Teach the Alphabet and ROCK IT! 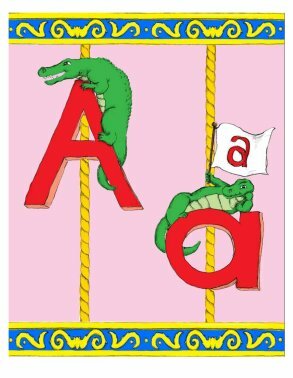 Teaching the alphabet is easy with these 3 alphabet posters you can laminate and use in your classroom. The Carousel Alphabet highlights the upper case letters, the lower case letters, the vowels, and the different printed/type font. A step-by-step guide on how to teach confusing letters upper and lower case, and vowels and consonants is included. There are three different alphabets included in this packet. 1) A simple learning alphabet without pictures. By introducing this alphabet first, the students are less confused and easily learn upper and lower case concepts, vowels and consonants, and the confusing fonts. 2) A colorful fun carousel alphabet. 3) A black and white carousel alphabet that children can color. 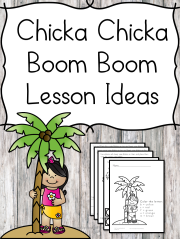 There are so many fun details and suggestions in this teachers manual and alphabet banner. This is a NOT TO MISS Product. Yes, it is only $6.98...BUT, if you are not satisfied, we are not satisfied. No questions asked!